Musings 'n scribblings of a philanthrope .. : Lessons from India's demonetisation for other countries of the world .. Lessons from India's demonetisation for other countries of the world .. 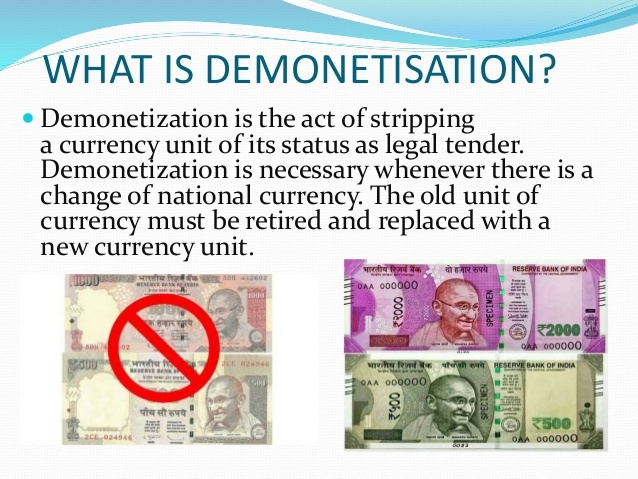 I was reading the article by Prof Bhaskar Chakravarthi of Tufts Business School , Harvard Business Review, November 2017 on the lessons of India's demonetisation exercise for the rest of the countries of the world. The lessons as highlighted by Prof Bhaskar made interesting reading. The underflow of the paper was the intellectual hollowness of the whole process. The fact that a very important economic decision was taken by the Indian Prime Minister, relatively less experienced, who had manipulated the Indian population through his provocative election speeches, had literally misfired, did harm the economy in great measure. The damages to the economy were great and very disastrous. Loss of almost 2 million jobs and loss of economic output in the country of almost INR 4.5 lakh crores resulting in the drop of Indian GDP growth to 5.9% in the past four quarters (not forgetting additional expenses of almost INR 30,000 crores, $4.5 billion, for the demonetisation exercise) has been catastrophic and devastating to the economy. 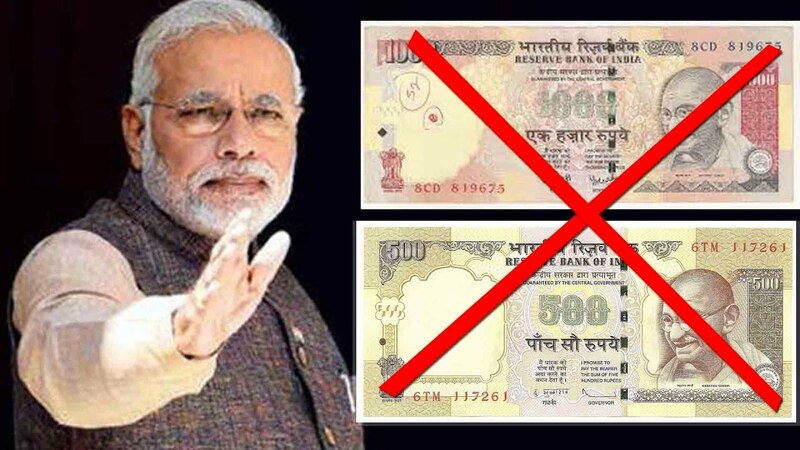 The unintelligent acts of this person ..
At first though the objective of demonetisation exercise as claimed by Mr Narendra Modi was to eradicate black money and corruption, it floundered. Almost 99% of the Rupees 15.44 lakh crores ($239 billion) of demonetised notes in circulation came back into the banks and the whole exercise backfired. 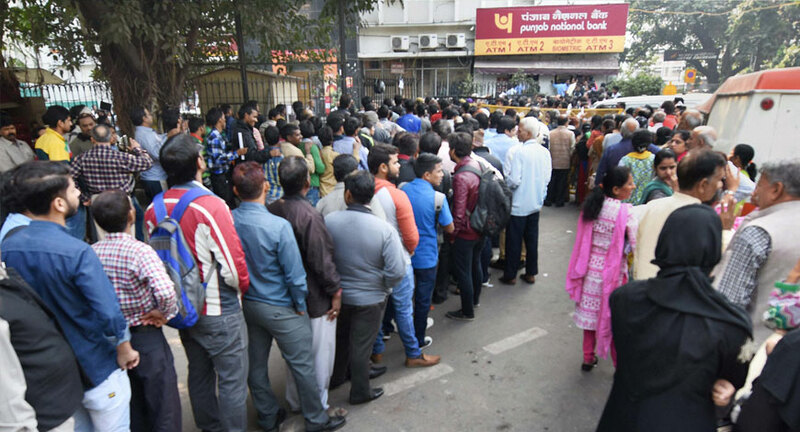 To escape from the blame of an unplanned, poorly executed move and to deflect popular discontent on such a floundering economic step, the objective of the demonetisation exercise was immediately changed to help bring a digital cashless economy in India. To add insult to injury, the experience of the past three quarters show GDP growth declined. People silently endured the sufferings and hardships. Lesson One : Choose the economic experts of the country carefully. Sidelining the top global economic experts for less educated and less experienced roadside peddlers, did damage the economy to a great extent. Lesson Two : Get to understand and assess the economic fundamentals and the monetary policy of the country correctly. If in doubt, check with economic experts how global economy works and how national economy in linked with the international economy. 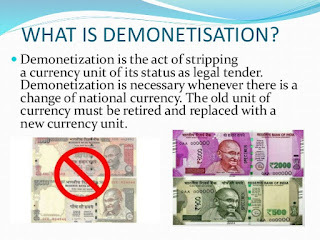 Lesson Three : Understand natural human behaviour, faced with a crisis of losing their hard earned money, legal or illegal, it is human reaction to devise innovative ways to ensure that the money is not wasted and gets deposited in different accounts in the banks. 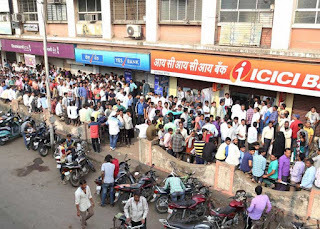 Lesson Four : Promoting the objective of a Unified Digital Payment Interface in the country at the cost of great pain, suffering and economic hardships of the people by going to the extent of even withdrawing 86% of the currency in circulation in not an objective worth the pain and hardships of the people. More worthier objectives should have been put forward. Hope the other nations of the world would learn from the Indian economic blunder carried out on November 8, 2017. If not for any benefits to the host country, let this exercise have some global lessons for the other countries of the world on avoiding economic blunders. Did India really need demonetisation, was demonetisation implemented after thoughtful deliberations, has this step helped black money hoarders convert their black money to white with government support are all questions the nation and the world are waiting for an answer ..
Well said George Sir! I don't see any improvements bought about on our economy by demonitisation. Our government argued that the positive effects will be seen in our economy just 6 months post the move. But it's been 1 year, and the GDP has taken a sharp pitch downwards.